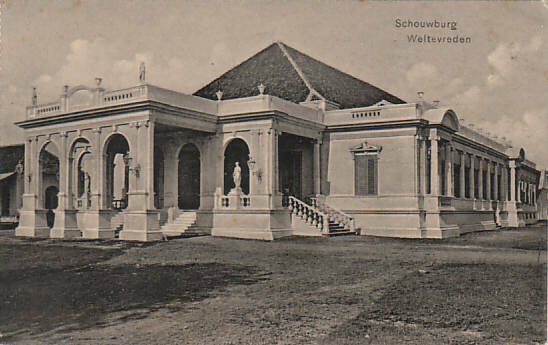 Built 1821 as "Schouwburg Weltevreden" for the Dutch colonial government, replacing a previous bamboo theatre. 1882 electrification. Later renamed "Gedung Kesenian Pasar Baru" and "Gedung Komidi" (comedy hall). 1987 renamed "Gedung Kesenian Jakarta (GKJ)".